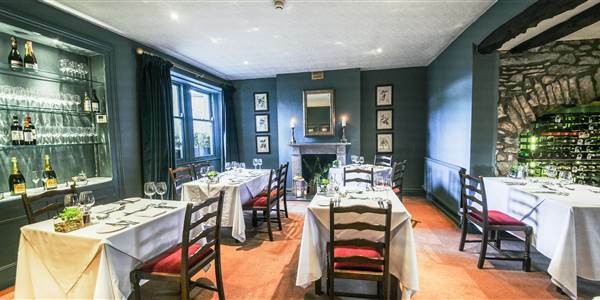 The picturesque market town of Kirkby Lonsdale on the banks of the River Lune is just 30 minutes drive north of The Traddock Hotel. The centre is attractive mix of elegant 18th-century buildings and stone cottages huddled around cobbled courtyards and narrow alleyways with evocative names such as Salt Pie Lane and Jingling Lane. Traditional butchers, bakers and ‘the best independent cheese shop in the UK' (2007) jostle alongside designer jewellery, fashion and home décor outlets. The Church of St Mary the Virgin is Norman, probably built between 1093 and 1130, although there was an old Saxon Church on the site before. Spanning the River Lune is a three arched bridge, called Devil's Bridge, which is probably 12th or 13th Century, and is now a scheduled ancient monument. Turner (1775-1851) painted the River Lune, now called 'Ruskin's View'. John Ruskin (1819-1900), a lover of Turner's work, influential English critic, social theorist, painter and poet, was so impressed by the picture, that he was inspired to write 'I do not know in all my own country, still less in France or Italy, a place more naturally divine'. The view today is a popular tourist attraction and if visiting the town well worth taking the 5 minutes stroll behind the church to see it. During the first weekend in September, the town hosts its Victorian Fair. It offers a lively Victorian street atmosphere with entertainment, demonstrations and street vendors. Salt Pie Lane - formerly known as 'Cattle Market Yard'. Cattle used to be sold in the adjoining Horse Market, and an enterprising lady living in the yard made hot salted mutton pies for sale to the traders. After consumption of the pies it was necessary to adjourn to the nearby 'Green Dragon' to slake their thirst - the landlord of which just happened to be a relation! 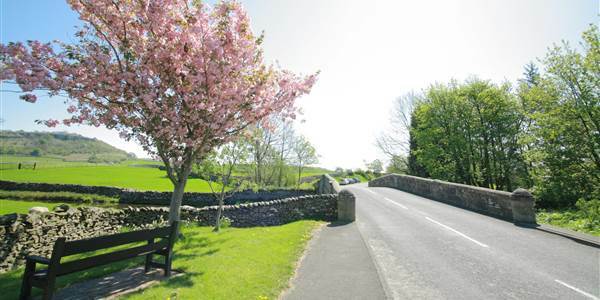 Stay at The Traddock Hotel and Visit the Picturesque Town Of Kirkby Lonsdale.